An Australian cricket journalist friend of mine was traveling through the US, and decided to stop by my place for a weekend few months ago. It was around the time of the first Test between South Africa and Australia at Perth. As we were watching the action unfold on the other side of the world, I quipped to him that David Warner was going to surpass the records of Virender Sehwag, as a Test opener. To my surprise, he disagreed vehemently, rolled off Sehwag's record from memory and pointed out how far Warner still had to go to be even considered an equal. In a lot of ways, Warner and Sehwag are joined at the hip as openers. First Sehwag, and now Warner, have rewritten the rules on what an opening batsman could do in a Test. 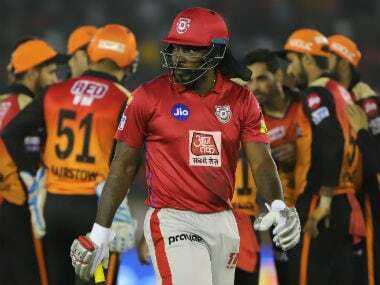 In fact, it was Sehwag that told Warner, truly a product of the T20 game, that he would succeed as a Test batsman, during their stint at the Delhi Daredevils. They are however essentially different in that Sehwag came through the first class system while Warner debuted for Australia in a T20I without ever playing in a first class match. Twenty three months after his T20I debut, Warner stepped on to the Test arena in December 2011 and in only his second Test, carried the bat through, in vain though, scoring his maiden Test century at Hobart. 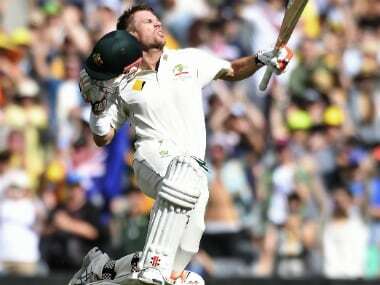 He has since hammered 17 more including a blistering hundred at Sydney in January 2017 against Pakistan, to become only the fifth batsman to score a century in a session, which his prototype Sehwag could not manage in his 106-Tests career. Sehwag at the 60-Tests stage of his career averaged 52.62 with 15 centuries. He had by then had become India's individual innings scorer, and surpass it too, with his 309 and 319. In addition, he also piled on three double centuries as well. Where as Warner's average is a smidgen south of 50 (49.16), with 18 centuries currently, but with only one score in excess of 200 (253). 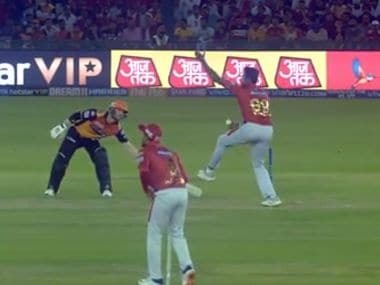 While Warner has shown higher propensity to score hundreds, Sehwag whenever he was set and was in the mood, made it large. Quite large. Warner still has ways to go, not in the destructive abilities at the top of the order, but only in making his triple digit scores in to something truly spectacular. And it makes sense why that would be so. Warner, in his seventh year of playing Test cricket, has learned the art of the long innings on the job, where as Sehwag had already paid his dues at the first class level. 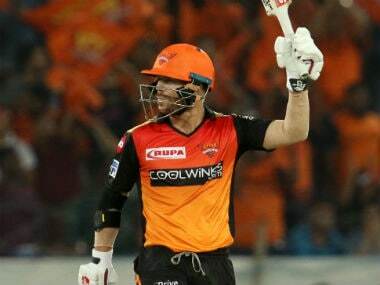 It would then stand to reason that Warner is yet to reach his peak as a batsman, and the bowlers around the world better watch out when he really combines his attacking batsmanship with the ability to stay at the crease for an entire day's play. However, all his promise almost came to nought when he was suspended from the side after he threw punches at Joe Root in a Birmingham Walkabout in 2013, which gave rise to the #escapegoat. It is to Warner's credit that he recovered from it all and is now the vice-captain of the side. While he had an ordinary 2016, the year was bookended by two centuries: 122* vs West Indies in the New Year's Test in Sydney and his first Boxing Day hundred at MCG against Pakistan. In between, his returns in the away series in Sri Lanka and in the home series against South Africa made one wonder whether Warner had lost his mojo. With two back-to-back hundreds against Pakistan, and a flurry of centuries in ODIs (six in his last 11 innings), there is no doubt that Warner is back in form, and primed for the India tour. He is one of the eight Australians from the ill-fated, homeworkgate tour of 2013 to India to return to these shores. This time, however, he comes to the country as the most experienced Australian Test batsman in the side, with the responsibility of guiding a young line up along with captain Steve Smith. In his first trip Down Under, Sehwag hammered his way to an opening day 195 at MCG but India would still end up losing the Test in 2003. On his return trip in 2007-08, he patiently accumulated 151 to draw the Test at Adelaide. In his final trip in 2011-12, Sehwag was a shadow of his old self, scoring just two fifties in eight innings as India were routed four-nil. During the tour of 2013, Warner had a quiet series with just two fifties at a pedestrian average of 24, falling prey to the spinner five times in eight innings. If Warner indeed is living Sehwag's career in reverse, it would then be likely that with the knowledge of playing in India, and the familiarity of the environs through his many years in the IPL, this 2017 tour would be a breakout series for him. Australia would sure hope that's the case as it is down to Warner to set the platform for the rest of the batsmen by not just negating the Indian bowlers but by demoralising them with his Sehwag-esque approach to opening the batting in Tests.